It’s amazing how far a good metaphor can carry you, especially one that has already firmly established itself into the corporate consciousness. 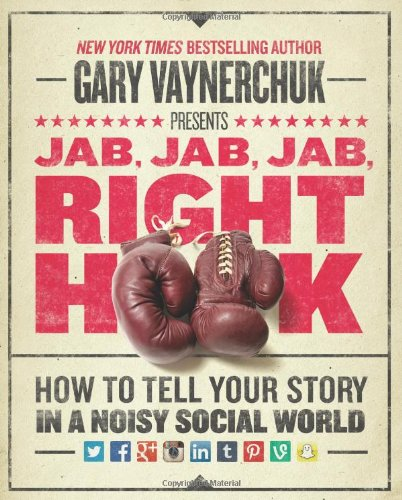 As Vayner Media (@VaynerMedia) co-founder Gary Vaynerchuck (@GaryVee) explains in his new book Jab, Jab, Jab, Right Hook: How to Tell Your Story in a Noisy Social World, the business world in general and marketers in particular have long since adopted the lingo of the boxing world. Everyone is looking for that “knockout” branding moment, it goes to reason, so it’s no wonder this common vocabulary has become so ubiquitous in boardrooms across the globe. But in a changing social business landscape, where social engagement and brand storytelling now rule the day, do these terms still, well, pack the same punch? This is precisely the question Vaynerchuck explores in Jab, Jab, Jab, Right Hook. The book then proceeds from this premise, breaking down the value of a good brand story by skillfully revealing its own series of compelling stories and branding anecdotes as he explores the nature of the most prominent social platforms in use today. Vaynerchuck keenly observes that we’ve turned a corner in social media adoption. Almost everyone has a social media presence these days—if for no other reason that they know they won’t be taken seriously without one. But just because they’re online doesn’t mean they understand what they’re doing there or how they can best serve their brands. As Vaynerchuck notes, marketers wouldn’t use a print ad as a TV commercial, as the difference between the mediums is far too great for the former to be effective on the latter. However, this may be the very same mistake marketers are making in their attempts to build social credibility; they’re simply not taking the time to understand the platforms. And in fact, many are engaging these platforms with no small amount of contempt in their efforts. They don’t really see the point, so it goes to reason that they’re not really applying themselves to the process. However, modern marketing depends on a brand’s ability to tell a story. But if a marketer’s foundation for that story is “I don’t care,” that story is never going to gain traction because they don’t believe in it themselves. And if this is foundation, Vaynerchuck says, “It shows. It shows in the low frequency of their posts, the inferior quality of their content, the lack of ingenuity with which they approach each new medium even as it gains in popularity, and worst of all, in the shocking lack of effort put toward showing care and respect for any community that has formed around their business despite all the previously listed failings.” Naturally, this isn’t what storytelling is all about. Every platform speaks its own language, and therefore requires its own strategy. Anyone fluent in a language can recognize a non-native in a heartbeat. If marketers can accept this essential truth, the other strategies Vaynerchuck lists—being unobstrustive, undemanding, pop culture savvy, digestible, and consistent—will quickly start to fall into place. Learning a new language goes hand in hand with learning the culture of that language, and this mindset should be no different when approaching social media. And this is what it comes down to in social media storytelling: knowing why you’re there, believing why you’re there, and putting in the work necessary to prove that you deserve to be there. As Vaynerchuck notes in the penultimate chapter of the book, every company is now a media company. Every brand must come to understand its relationship to social media, its customers, and the content it must produce to keep those customers interested in their brand’s story. It’s not about delivering a knockout in the first round; it’s about being prepared to go the distance. 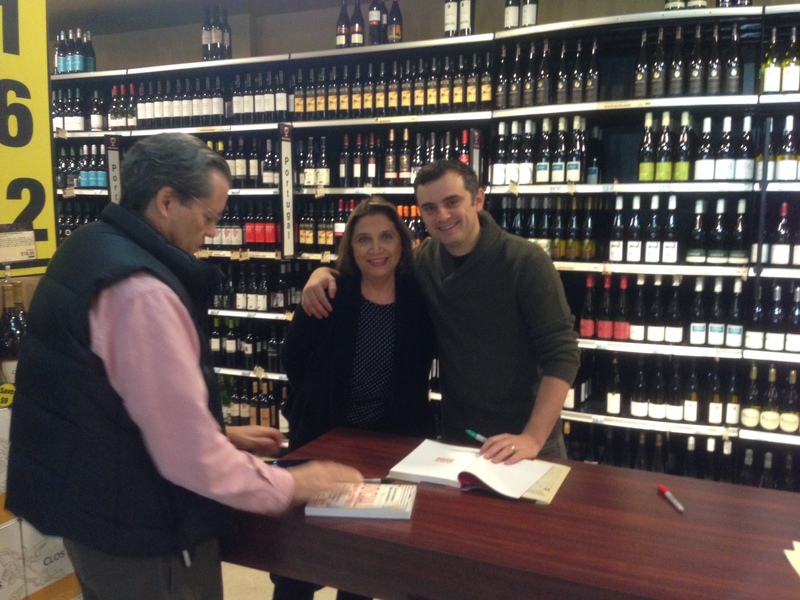 Pictures taken with Gary Vaynerchuck and Cheryl Burgess and Mark Burgess at his book signing event at the Wine Library, Springfield, NJ. Thanks for bringing Gary’s ideas to the fore. 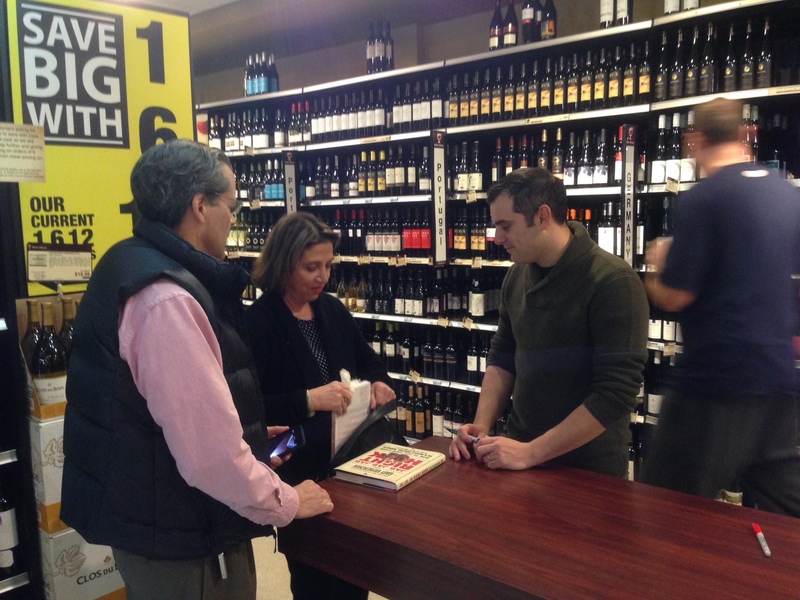 Adopting a suggestion from his book, we recently ran a fun and successful social media contest for clients and targets. Before Thanksgiving we emailed a picture of a crazy looking turkey to our key contacts, asked them to take a picture and tell something about it, and then post it on our Facebook page where fans would vote for the winner of a $100 Visa Card. https://www.facebook.com/DeCarolisDesignJournal Clients loved it.